Hai Nguyen's Blog > Huge traffic resources > Do you know Anonymous Ads ? Do you know Anonymous Ads ? Anonymous Ads (A-ADS) is a bitcoin online advertising network that doesn’t collect personal data. Its scalable infrastructure comprises dozens of servers which deliver circa 2 million ad impressions a day to visitors from all over the world. 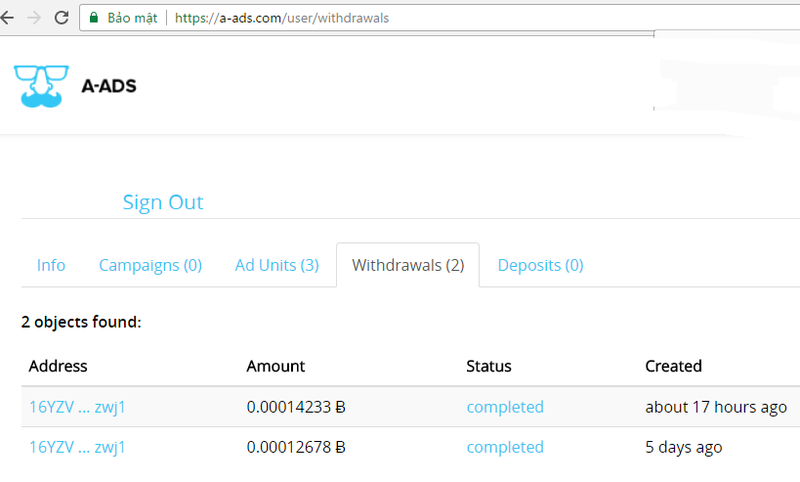 A-ADS offers transparent statistics, automated bitcoin transactions, and diverse traffic from thousands of sites and applications. It takes less than a minute to create a new advertising campaign. No registration required, try it yourself! Previous Post Previous post: How is JoeGeo.com different? Have you ever seen a bigger cashout than this ?